If you told me a year ago that I’d be where I am today, working in a job that I had no idea existed, I’d have a difficult time believing you. Yet here I am. I’ve often told those who are close to me that while I have loved my experiences with international missions, I didn’t necessarily feel called to be a full-time missionary abroad (living a life full of Jesus means that I can be a missionary on my own turf). People have also asked me what my favorite country to go to was, and I can honestly say that my answers and reasons have changed every time. I love all of them for very different and very similar reasons, but my heart and my mind keep coming back to one in particular. Uganda. I could talk for hours about Uganda. What we did. What we learned. How they have continued to impact my life. Although they lack in material things, they have so much joy and love. I can’t help but be drawn to them. That being said, I’m thrilled that I will have the opportunity to go once again this December through Global Journey. Last time, a majority of our time was spent painting and hanging up mosquito nets for Lulwanda Children’s Home (as the kids were in school). However, this time, the kids at the orphanage will be on break meaning that we will spend Christmas-time loving on these kids by putting on a camp and providing Christmas gifts. How cool is that? I am definitely trusting in the Lord for provision as I have only a month to fund the majority of the trip (why do plane tickets have to be so expensive?). But I know that in loving His children, they will bless me more than I could ever hope to be a blessing to them. 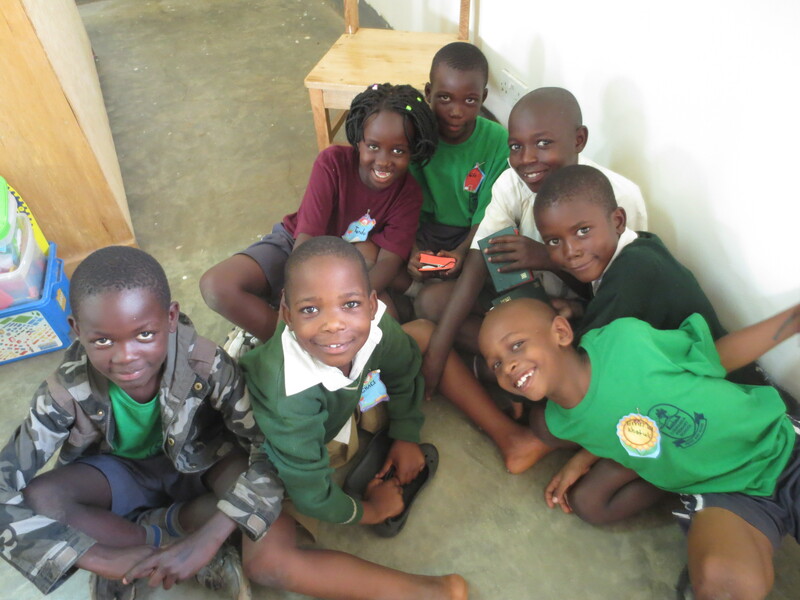 Now, I am counting down the days until I hear their sweet voices asking “Mzungu, how are you?” (102 days…). Time for a little honesty. I had every intention of keeping up with this blog post-Global Journey with the occasional updates about post-grad life, but sometimes life doesn’t work out as planned. That being said, it’s turned out even better than I could have ever hoped for. After Global Journey (summer 2014, miss my GJ family) I had the wonderful opportunity to spend 4 months interning on “the Hill” in Washington, D.C. Needless to say, I had the time of my life. I enjoyed the internship experience, met some of best friends, had crazy adventures traveling the east coast, and found a church to call home. I built a life there. Leaving that and coming home (Dallas, TX for those that are unaware) to a life full of uncertainty was one of the more difficult life experiences I’ve had. I spent 3 years working towards a degree in a field that wasn’t growing, and quit looking for a job in that field after a few short months. It was hard. I’m not a quitter, but I felt that my purpose was elsewhere. So I prayed. I felt that the Lord was telling me to pursue a life in the nonprofit sector, so I did. I spent countless hours researching different opportunities, restructuring my resume, and working on cover letters for an industry that I knew nothing about. But the Lord knew what He was doing. I started many applications, but I never quite got around to submitting any of them. Nothing felt right. The right opportunity came along just a few weeks later and it just “happened” to be the one and only nonprofit job I actually applied for. I submitted my resume, interviewed, and accepted the job offer all in the span of approximately a week and a half. It was a whirlwind, but it wasn’t me. It was all Him. I’ve been working at the National Breast Cancer Foundation for five months now, and I can’t help but love the mission that we rally behind and the people who make it happen. God is still working on me, and on my life. It’s been a beautiful struggle. All of the growing pains that I’ve had to endure in this transitional season have only made me more dependent on the One who loves me unconditionally. The One who woos my soul. 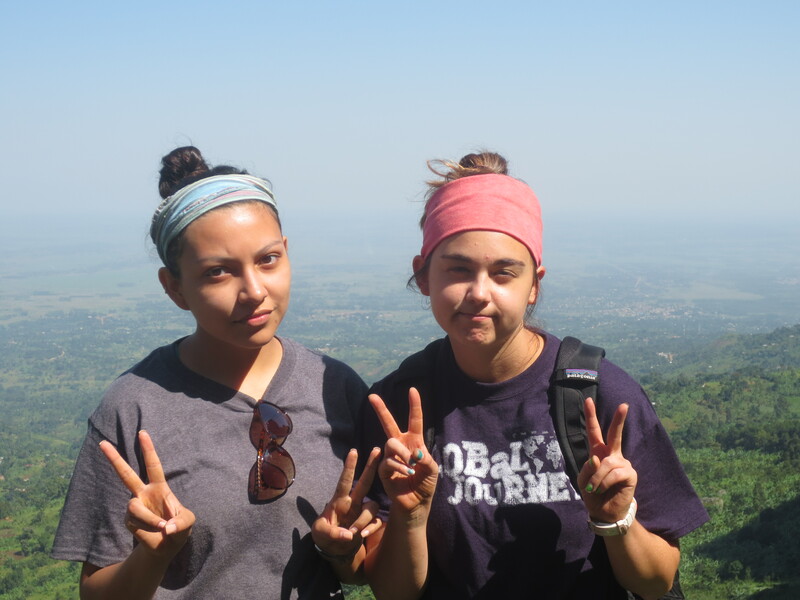 El Salvador is a beautiful place full of reconciliation, restoration, and redemption. Even though we were there for such a brief span of time, we were given such a clear picture of the transformation that occurs when needs are met. We spent our time there working with a humanitarian organization called Project RED (http://projectredelsalvador.org) which aims to bring hope to families in El Salvador by using Reintegration, Education, and Development. Project RED specifically works with families whose children were once in orphanages. Most of the time, these children were sent to orphanages because their families were unable to provide for their basic needs. Due to the enactment of a new law in El Salvador, more than 6,000 orphans were sent back to their biological families. Most of these families are still unable to provide basic needs for the children, and that’s where Project RED comes in. Project RED provides close to 70 families with better housing, food, beds, and much more. They also address emotional trauma with qualified psychologists. With both emotional and physically needs met, children can be reintegrated into a better environment. Project RED also aims to send every child in their program to school by covering transportation fees, school supplies, and providing school uniforms. They also educate the parents/guardians about hygiene habits, nutrition, and how to properly discipline their children. Project RED is then able to aid with development by providing families with micro-loans or by giving them vocational training so that they can have a more steady income. 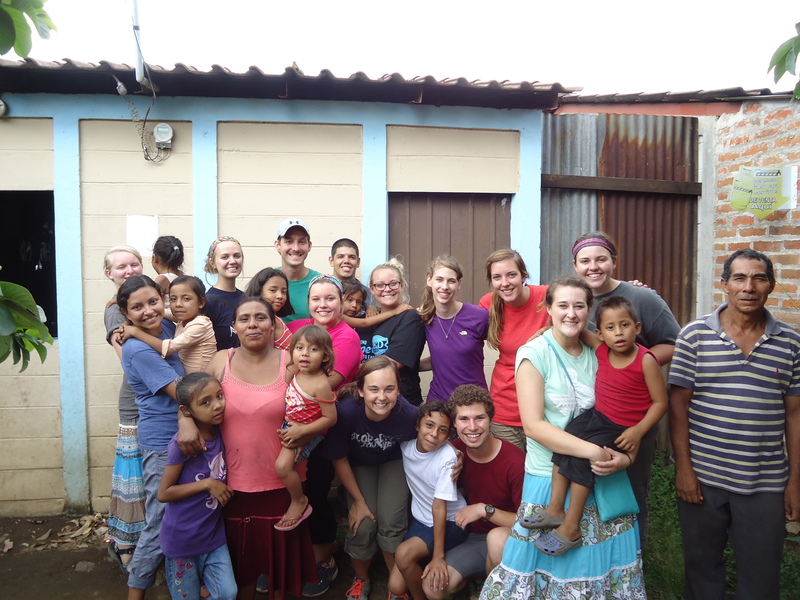 The team spent most of our time in San Salvador and the surrounding areas doing manual labor. 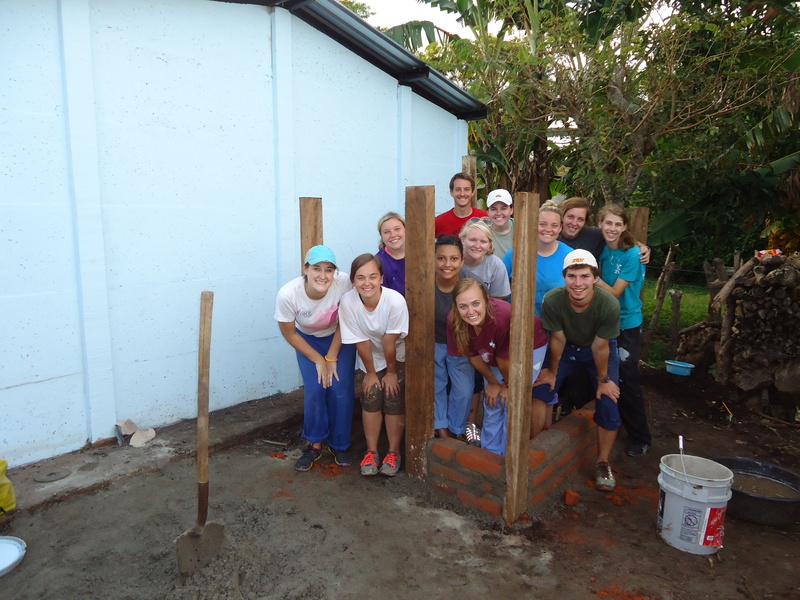 We were able to paint several houses, clean out a yard to build a garden, and start building a chicken coop. These were all projects that had been sponsored for the improvement of the living conditions of Project RED families. Even though we were there to help them, it was common to be offered food or assistance by these families. By helping to restore these families, it is Project RED’s hope that entire communities be changed. The beautiful thing about this mission is that they are providing humanitarian aid with the love of God. While Christianity is widely found in El Salvador, it is becoming increasingly important that the youth are discipled and mentored by Godly men and women. We were able to have an afternoon with the kids and their joy was so evident. Had I not known some of their stories, I would not have been able to guess what their lives were like before Project RED’s intervention. They were so utterly transformed. It was truly a joy to be able to serve Project RED and to give our all in this last leg. It is my hope now that as I head home, that I continue to live a life that is glorifying to Him. My journey doesn’t end when I go home. My life is a ministry, and I want to do everything that I can to make His name known. 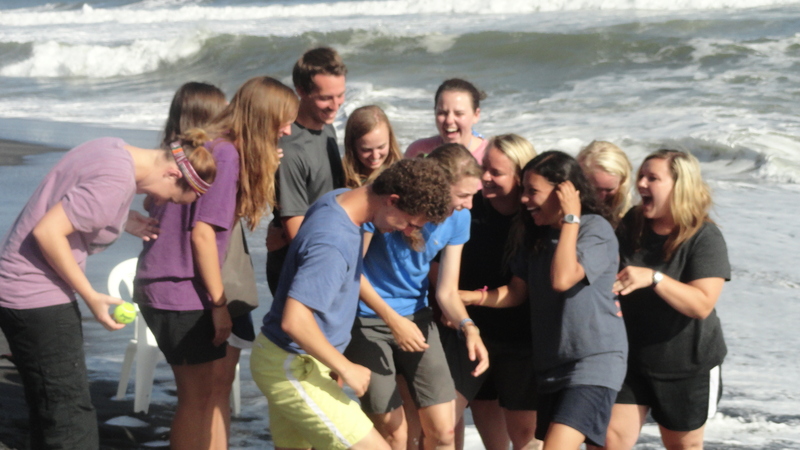 Candid of the team at the beach. Never a dull moment! Thank you for your prayers and support and for following me on my journey! I can’t wait to live out everything that I learned these 60 days. 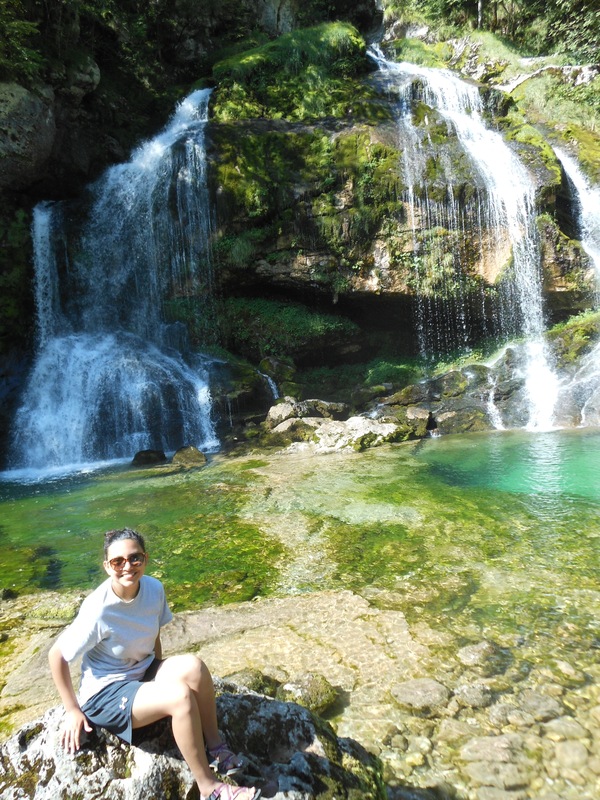 To say that Slovenia is beautiful would be an injustice. Slovenia is breathtakingly beautiful. For those that aren’t familiar with Slovenia, (don’t worry, I wasn’t either) Slovenia is a small country with a population of approximately 2 million that is located east of Italy and south of Austria. Among the 2 million people, it is estimated that only about 1 percent are believers. A developed European country that seemingly has everything going for it, yet they are missing the most important thing-a relationship with Jesus. The first few days in Slovenia were spent in a town called Idrija. Little did we know, the charming and picturesque town was very spiritually dry. There were only two known believers there. Our intended plan was to partner with the couple and do some street evangelism. Like we’ve seen again and again, sometimes our plans don’t exactly go as planned. It rained almost the entire three days that we were there. However, because of the rain, we were able to spend time with the believers that were there. Being with them helped me to realize how good I have it back home. I belong to an awesome church and am constantly having fellowship with other believers. This fellowship-being poured into-has undoubtedly influenced my spiritual growth, and these Slovene believers don’t get to have that often. The time we did get to spend with them was spent encouraging them and just worshipping our Creator. After we left Idrija, we went to another Slovene town called Bovec. Surrounded by the Julian Alps, this town is unbelievably beautiful. The remainder of the time was spent here working with another missionary family to distribute literature via walking and cycling groups (I was in the walking group). 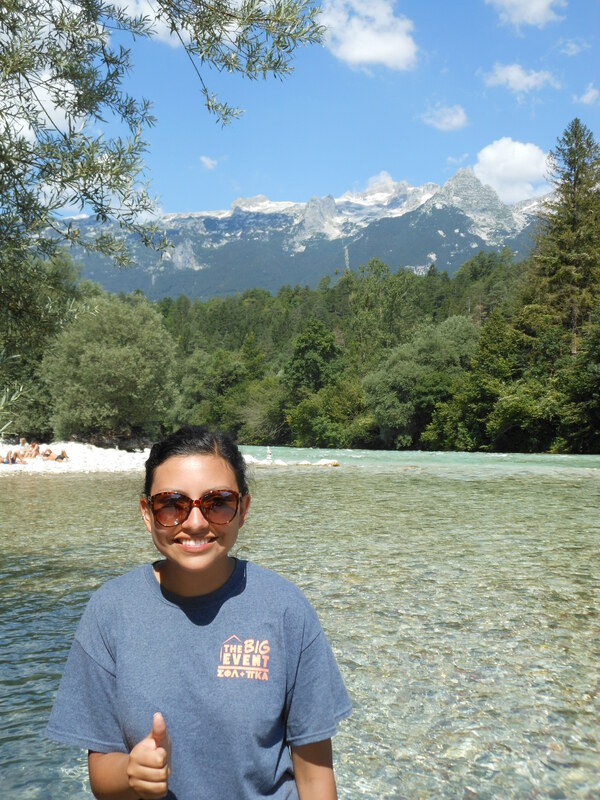 The walking group was able to prayerfully distribute literature around Bovec and in two of the surrounding villages. Our prayer was that the people would read the literature and be drawn to Christ. 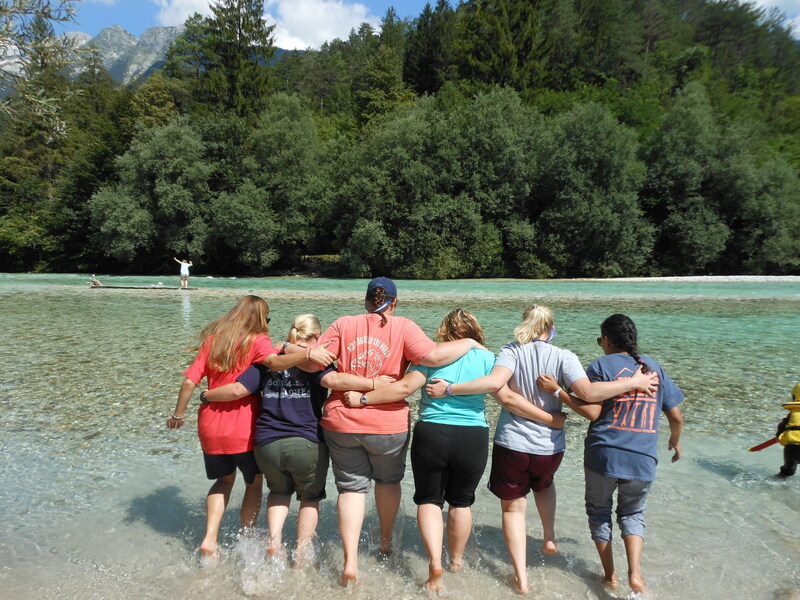 For both groups, Slovenia was physically challenging, but the Lord gave us strength to persevere! Please join me in praying for the El Salvador leg of the trip. Pray that our travel days go smoothly and that we may be able to give our all in El Salvador. It is my prayer that everything that we do bring glory to God! Uganda was not what I was expecting it to be. It is not hot and dry, rather it was warm during the day (cool at night) and lush. Uganda has lots of green vegetation and we were treated to lots of delicious fruit. Mangos, bananas, and pineapples were plentiful and it was so refreshing to be able to enjoy them almost daily. The people were so incredibly warm and welcoming to us, never failing to ask how we were doing. In fact, it was common for the village kids to ask “Mzungu, how are you?” as our van drove by. “Mzungu” is what they call a white person. It isn’t a slur and it doesn’t have a negative connotation, so we’ve come to think of it almost endearingly. I’m still not sure if I qualify, as I would get mixed responses when I asked the kids if I was a mzungu. So I just assume I am, just because I am a foreigner. We spent about ten days in Mbale, Uganda at Lulwanda Children’s Home working on several different projects. Lulwanda Children’s Home was created to care for the most at-risk kids who have likely lost one or both of their parents to HIV/AIDS. There are about 70 kids who call LCH home. These kids are provided with a safe place to live, nourishing food, a good education, and love. But most of all, they learn about Jesus and about His death, resurrection and His great love for us. LCH also provides an education to village kids, which also gives them an opportunity to learn about Jesus. Lulwanda means “rock” in Lugandan, which is fitting because LCH is situated on a hill, but is also fitting in a biblical context. The land that LCH is on was once avoided by locals because it was riddled with all sorts of bad and evil things, but the Lord had redeemed it! Now there is such a sense of peace there, a peace that only the Lord can provide. Being in Uganda was so refreshing for me. There was good food, fun, and fellowship, all of my favorite things. During the day, we would work on our various tasks. We spent time scraping and painting over a large shipping container, painting the primary school, digging trenches, hanging mosquito nets, and getting to know the kids when they weren’t at school. We got the opportunity to stay with a missionary who has been there for 7 years, and it was so encouraging to hear her testimony. We also got to really know and love a family who just recently moved to Mbale. Getting to know and spend time with the Palmer family was easily one of my favorite aspects of being in Uganda. John and Bobbi both felt called to missions early on in their marriage, but life happened. They are now fulfilling that call in God’s perfect timing and it is so awesome to see. Their two kids, Jackson (10) and Lilly (6) were a delight to be around. They truly love God. 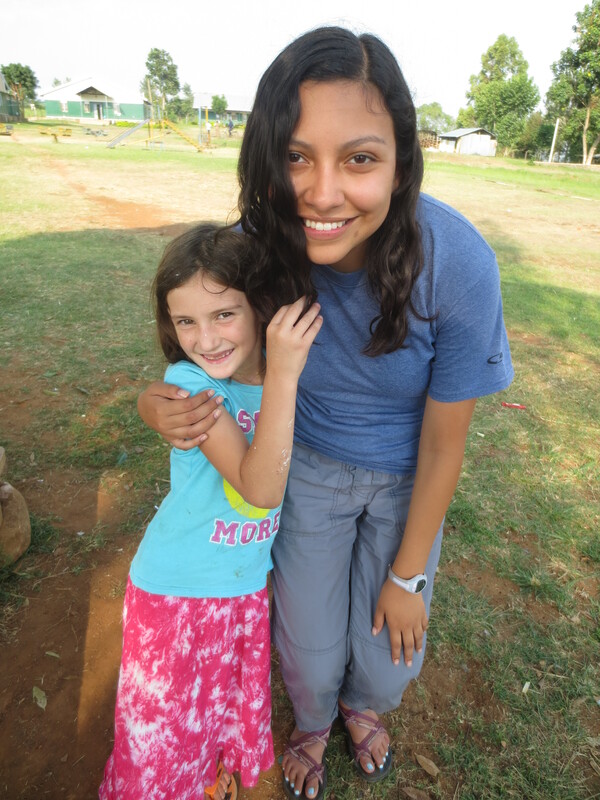 I had the chance to spend a lot of time with Lilly and she has such a servant’s heart. She continually impressed me with the way that she loved people, even the ones that she had just met, and I learned so much from her. Uganda was so incredibly peaceful. From the climate to the people, I truly felt rested. I ask that you pray for the next two countries. That we have the words to say while evangelizing in Slovenia, and that seeds be sown in the hearts of the people here. Also, that we are an encouragement to the few believers that we do get to meet. If you know me, you probably know that I don’t really do physical affection. I accept signs of affection when others initiate, but rarely do I initiate them myself. This was something that I thought I would struggle with in India. I was wrong. We spent our leg in India at Emmanual Children’s Home in a place called Kota. This was a deviation from our original plan, as we had planned to go to another right outside of Delhi. The orphanage in Kota had approximately 500 children there, with slightly more boys than girls. Before we even got there, I began to feel overwhelmed. How was I supposed to love on 500 children? Turns out that it didn’t even matter. Because they loved us. They didn’t know us, and yet they loved us. They loved unconditionally and without restraint, knowing full well that we would be leaving them. They served us more than we served them. When we would go visit their rooms, they would make us sit on the beds underneath the fan, knowing that we struggled with the 105 degree heat. They carried our water when we played games, and braided our hair to keep it out of our faces. These children, some orphaned and some not, stole a piece of my heart. They are servants, full of joy and an abundance of love. The world says that they have no reason to be like this, yet they are. They have Jesus. These kids get that. They understand that worldly things won’t give them joy like Jesus does. And how sweet it was to hear them praise their Creator. When they first sang Mighty to Save and 10,000 Reasons in English, and even when they sang the Hindi songs that I couldn’t begin to understand, I felt the presence of the Lord. Oh how I long to have faith like these kids. To love even when it isn’t convenient. To serve regardless of circumstance. How they remind me of my Father’s love. I learned from them more than they will ever learn from me, and I am forever grateful for that. God is good. So good. In the good times, and in the not-so-great times, He is always and will always be good. My team and I were able to recharge this past weekend in some pretty awesome ways. On Saturday, we went to a local hiking area and hiked up to a beautiful waterfall. There was a pool where the waterfall flowed and we were able to get into the cool water to be refreshed. While there, we sang a few worship songs, and tried to convey how awed we were at God’s creation. That night, we went to put our bartering skills to use and most of us bought more than we bargained for. Tea sets and chopsticks galore! Sunday morning we went to church that was Chinese with English interpretation and it was wonderful. Language isn’t an issue when it comes to having a relationship with the Lord, and it was so evident in that service. We then had a more traditional Chinese meal (a treat since we’ve cooked most of our own meals during our stay), and then went to the harbor for some more sightseeing. On Monday, my group and I went on runs and I was the only one that was stopped. While I was at peace about it, it was hard for me to get the bigger picture. Maybe I wasn’t meant to. But while I was stopped, several of my team members were able to make it through successfully, so I wasn’t discouraged. I made a second run that day and was successful, but I still needed to get my confiscated bibles back. I waited for close to three hours, and I still wasn’t any closer to getting the bibles. Finally, ten minutes before they closed, an official told me to come back the next day to pick them up. I was frustrated. Here I was doing all of the things that I was supposed to be doing, yet I was getting no results. I learned that sometimes we don’t know why things happen, but that we just need to trust that everything happens according to His divine plan. Today was our last day working in Hong Kong, and it was bittersweet. We have gotten to know the local missionaries here, so it was hard to say goodbye. However, today on our last day, the entire Global Journey team made it through both runs without having bibles confiscated! It was definitely a God thing. Our leader Ryan was stopped on his first run and made to put his bags on the scanner, but he was able to make it through with all of his bibles. Glory be to God! On our second run, I was stopped. The customs officer pulled me off to the side, asked me for my passport and then asked me to open my bag. I did as I was asked, and I’m pretty sure my heart stopped beating when he picked up one of the bibles. He made this grunting noise as he put the bible back, signaled that I needed to zip up my bag, handed me my passport and walked away. I was utterly confused. Deciding not to linger and risk getting stopped again, I walked out of the customs area to meet my team. I am amazed. Even when I should have had my bibles confiscated, God made it so that I would walk out with every single one of them. God is good.